30…30…30? Really am I already 30 (I say it over and over because I have no idea how I got here). I just turned 30 and I have no idea what I’m supposed to be doing. So far it’s been party almost every weekend, impromptu travel to exotic destinations, holding other people’s babies, spending my time as I please as there really have not been much responsibilities so far. It’s been all fun…I am sure that is how 20’s is supposed to be anyways. Just sheer fun and no responsibilities! 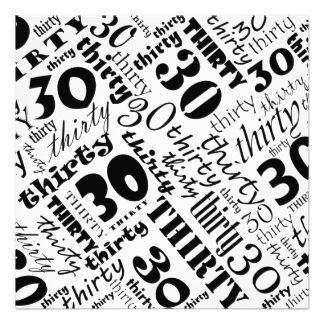 Even though nothing feels different but I don’t want to fool my self-saying 30 is the new 20. I thoroughly enjoyed my 20s and it will always have a very special place in my heart. However, I am equally excited to be stepping in my 30s to unwrap all the amazing things ahead of me. Turning 30 is monumental as you are finally growing into the person you are meant to be. I am not talking about where society expects you to be in your personal life or career but more in terms of you growing into a person that is really YOU! Enjoy the Little Things: Sometimes it’s a little thing that matters the most. Like a casual dinner with family or friends, late night coffee ghetto on a cold night, little banter with your younger sibling over who gets the most attention or simply snuggled up on a couch with your loved one working on a dessert while watching a TV after long day at work. Its these small things you will cherish for life. Get in some Family time: I can’t stress on the importance of family time enough. Most of us seem to find our family the craziest of all in the history of familyhood (I just made that word up) we hate them one minute and love them the second but that’s what families are like. I find myself wanting to spend more and more time with my family than ever before. Surround yourself with Love: Everybody and their friend is our friend on Facebook in our 20s but as we grow older its handful few we really care to know about. I find myself getting more and more pickier who I allow in my space. I have more patience for some things and less for others. I am becoming more selfish with my time as I value each day I spend and understand its one day less from my remaining life. It wasn’t an overnight thing, but I’m cool with who I’m becoming, and even more ok with the fact that I want to spend my time with people I love. Fitness is no Joke: In our 20s, all we had to do was diet for few days or maybe throw in a workout to lose a few pounds. In our 30s, it’s really hard work trying to loose few extra pounds and it becomes more about living a healthier life then being a certain size. Alcohol Tolerance: In our 20s, a rough night of partying would lead to calling up some more friends for some more partying followed by Denny’s at 4am. In our 30s, we feel like a total wreck after partying till midnight and need to pop couple of Tylenol the next day and swears to Never. Ever. Drink. Again. Laugh often: Last but not the least. Life is really precious and I don’t want to miss out on anything in life. I am really selfish in that regards. I love life to the fullest and surround myself to similar people. I am going to rock my 30s more than I did with my 20s. I had an amazing 30th birthday in Vegas with group of friends (post to follow soon). I can’t wait to see what 30′s bring! Don’t forget to subscribe or follow us on social media to make sure you don’t miss out on all the fun! Your post made me laugh. I’m turning 30 next year and can completely relate to the struggle to keep weight off and the alcohol tolerance! Happy birthday! My philosophy on life tends to be that every age has its own responsibilities and its own fun. The two are not mutually exclusive. I am turning 30 soon (next month). It really gets you reflecting on your 20s and what you accomplished and still need to accomplish. Thanks for sharing your insight on turning 30. I love your thoughts on focusing on enjoying the little things and spending time with family. Lol! 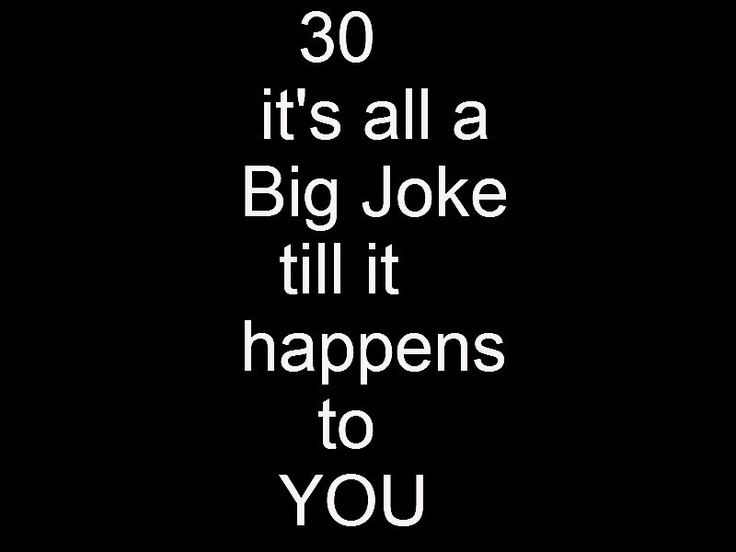 I’m looking forward to my 30s. I hope they’re fun and exciting since life just keeps getting better as I figure myself out more! I feel the same..life just keeps getting better as we age Cheers to that! Happy belated birthday! I have to say that my 30’s were pretty awesome. I got married, bought a house, and have three beautiful kids. Plus, I’m now at the weight I was in high school. I’m at the very tail end of my 30’s, so enjoy this decade to the fullest. I’m hoping 40 is even better. Yes !!! I’m in my 30’s and love it but definitely 40/is not far hope I can embrace that as well. Forty is freeing. It’s amazing how you come into your own around forty and how strong and free you feel. I agree! its definitely more freeing! Cheers to that! I turned 30 a few months ago and have been celebrating ever since! I drink wine now. Because isn’t that what 30 year olds do? It’s a big milestone birthday, the first where I was able to finance the party. Another great thing about 30 is you start doing things because you want to even when no one else does. My birthday included bungee jumping! Happy birthday and welcome to the 30 club! If the weight of your age starts to overwhelm you, have a glass of wine. You can do that. You’re 30 now. As someone who is 43, I can honestly tell you life becomes much more awesome once you cross that 30 barrier. You know who you are, you know more about what you want in life, and the best part is you begin to quit taking sh!t from people because your confidence is exploding! So agree! Its definitely more freeing and exclusive! LOL! I absolutely get where you’re coming from but turning 50 was the BIGGY for me! Didn’t give it a thought until then, however I’m very lucky in tha tI’ve always believed you’re only as old as you believe you feel and act. So very true! Its all in the mind! Welcome to the club!! Such a fun read. You write so well. It’s fun to be on the wrong side of 30!!! I turned 30 this year and what you write it completely true! Also you learn to make yourself a priority not for selfish reasons but for personal (taking care of you mental and physical well being). It’s amazing how one birthday can change your perspective!! Happy Birthday! Yeah its been a slow transition but there sure is a lot that changes with you moment you step in your 29th bday leading up to 30th. Thanks for stopping by! Absolutely Loved reading this blog!! You nailed it with points (5) and (6). awww Gargy…thanks sweetheart! Thanks for stopping by!